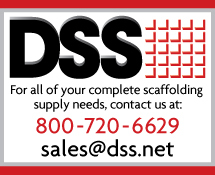 DSS is already the preferred OEM manufacturer of many proprietary, brand name scaffold, shoring, and forming products utilized all over the world. 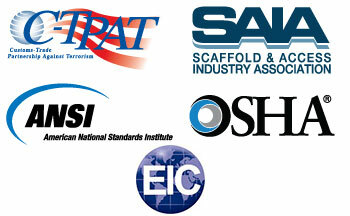 As the original pioneer of OEM scaffold manufacturing, DSS’ capabilities have been subject to rigorous audits and reviews by some of the most prestigious manufacturers from around the globe. DSS has successfully completed DIN EN ISO 9000:2001 and BS EN 1090 certifications and is proud to be the choice provider of OEM components to many of the largest scaffold service providers in the market today. Over the years, DSS has earned the reputation of outstanding quality and workmanship. DSS prides itself on supplying absolute, top notch, first class products due to its modern manufacturing processes and extreme controls on tolerances. Quality and customer service has allowed DSS to continue to expand its manufacturing capacity to an unparalleled level. DSS ships over 70,000 metric tons of material per annum and is continuously improving and expanding our footprint through factory investments in robotics, advanced roll forms, progressive dies, and improved floor layouts. DSS is dedicated to constant improvement, safety, and industry awareness to ensure our products remain the first choice for our clients.